The Global Links Network (GLN) Team is comprised of international trade in services specialists with expertise in a wide range of areas including: capacity-building, trade-related technical assistance, training, sector and market development and technology-based competitiveness and trade solutions. Private sector development and capacity-building of trade promotion organizations and business support organizations have become the hallmark of GLN's work in developing and transitional economies. Clients include international development organizations such as the United Nations and other international aid agencies, government trade promotion organizations, sector and business support organizations, educational institutions and small and medium-size enterprises. Global Links Network is paving the way for the future world of trade and development - a world which increasingly involves technology, the export of services, and is driven by new global traders \such as micro-enterprises, women, and young entrepreneurs. GLN's training and coaching programs seek to inspire, empower and engage entrepreneurs in assessing their potential, understanding the key steps, planning and implementing market entry strategies. Diane is the founder and president of Global Links Network. 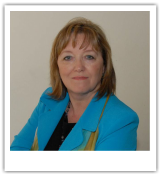 With over 25 years experience in the international marketplace, Diane has been involved in a variety of projects in over 50 countries in North America, Europe, Africa, Asia, the Caribbean and Latin America. Diane holds the world-recognized designation of Certified International Trade Professional (CITP) designated by the Forum for International Trade Training and has been a member since 1994. For the past ten years, she has been a Senior Associate of TFO Canada, a Canadian NGO with a 30 year history in providing trade support to developing countries. Diane was a Board member of the Canadian Manufacturers and Exporters for 15 years and in 2012, was awarded the Queen Elizabeth II Diamond Jubilee Medal in recognition of her leadership in international business. TFO Canada has been assisting exporters from developing and transition economy countries for over 25 years. Our focus continues to be on creating opportunities for client exporters by providing practical exporting advice, market information and exposure in the Canadian market through our promotional programmes. GLN Associates are also associates of TFO Canada. ﻿The Forum for International Trade Training (FITT) is a not-for-profit organization dedicated to providing international business training, resources and professional certification to individuals and businesses. FITT's international business training solutions have become the standard of excellence for global trade professionals across Canada and around the world. The Certified International Trade Professional (CITP) designation is the world’s leading professional designation for the field of international business. Click on the logo to learn more.